Overall, not one of my favorites. It is not uncommon for tracks to have 2 or 3 thematic changes in them. While the score is very good it makes it difficult to use during a game. Also I have to admit to being a bit disappointed by the sound of it. 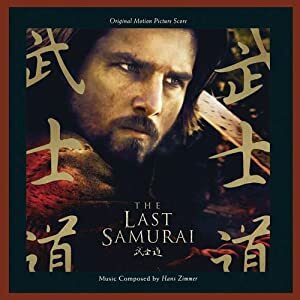 I haven’t seen the film, so maybe Zimmer made appropriate choices, but for a movie about a Samurai it is overly Western (not wild west, just American/European) with Japanese sounds only cropping up now and then. If you are looking for music more fitting to a game based on Asian cultures check out albums tagged with Chinese for example.